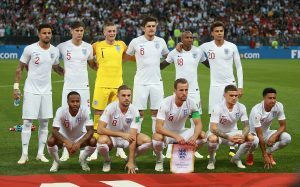 England will be hoping to get their UEFA Euro 2020 qualifiers off to the best possible start as they take on the Czech Republic at Wembley Stadium on Friday evening. The two teams come together in Group A of the qualifiers with excellent recent records. The visitors have never failed to qualify for the European Championships as an independent state, whilst England’s only failure to reach a major tournament in their last 12 attempts was the 2008 Euros. With the top two teams from each group qualifying, a positive start could be crucial. The Three Lions are the clear favourites to win the group at odds of 1/7 with Betfred, whilst the Czech Republic sit at a price of 9/1. In international football, past form really could prove decisive and it all points in favour of Gareth Southgate’s men. The Three Lions have not lost a tournament qualifier since a 1-0 defeat to Ukraine in 2009 ahead of the South Africa World Cup. They have also only lost one game at Wembley under Southgate – that being the 2-1 loss to Spain in the UEFA Nations League. Consequently, they are again the clear favourites to win the game at 2/7 with Coral. Jaroslav Šilhavý’s men meanwhile are at 11/1 to win at Wembley with a draw at 15/4. The two teams have actually come together on two occasions before, but not since 2008. England claimed victory in their maiden meeting with a 2-0 win at Wembley. The last clash actually finished in a 2-2 draw. Both teams to score is at a price of 31/20 with Betfair, whilst England to score 2+ goals, as they have done on both occasions is at a price of 8/15. Regarding the team itself, Southgate has already had a few members of his squad pull out prior to the match. Fabian Delph, John Stones, Ruben Loftus-Cheek and Luke Shaw have all pulled out. They have been replaced by James Ward-Prowse and Callum Hudson-Odoi. West Ham United’s Declan Rice has also been granted his maiden call-up after declaring for the Three Lions. Elsewhere, Raheem Sterling could be a clever bet to hit the opening goal at Wembley having found the net five times in as many games for Manchester City. He has odds of 5/1 to score first. Meanwhile, there are not many names within the Czech Republic squad that will be too familiar to fans of English football. Burnley striker Matej Vydra, who has scored five goals in 24 appearances for his country, has once again been called into the squad. The former Watford, West Bromwich Albion and Derby County man is at 17/1 with Paddy Power to be named as the first goalscorer.